Toilet seats should pay attention to flushing methods and water consumption. Toilet flushing methods are common straight and siphon. In general, a flush-type toilet flushes with less noise and is prone to odors. The siphonic toilet seat is a silent toilet seat with a high water seal and is not prone to odor. Bathtub bathtubs are made of ordinary steel bathtubs, acrylic bathtubs, cast iron bathtubs, and 3.5 mm thick steel tubs. Ordinary steel bathtub cleaning easy, more uniform shape; Acrylic bathtub shape is more abundant, but short life, easy to clean after aging; cast iron bathtub long life, but the price is higher, handling, installation more troublesome; 3.5 mm thick steel tub due to surface glaze Good surface treatment, long steel plate life, easy installation, both the advantages of steel bathtub and cast iron bathtub. Vanities should pay attention to the quality of the glaze, because the glazed surface is good, not dirty, the surface is easy to clean, long-term use is still bright as new. When selecting, you can look at the light and observe from the side of the ceramic from many angles. The good glaze should have no stains, pinholes, trachoma and bubbles, and the surface is smooth. When selecting faucets, you should pay attention to the quality of the valve plug, the quality of the faucet manufacturing material, and the quality of the surface treatment. It depends on its adaptability to water quality and whether it is water-saving. The generally high-quality faucets use imported ceramic valve cores. In manufacturing materials, most high-end faucets are made of brass. The coating on the surface of the regular product will not leave fingerprints after the finger is pressed. Hand rubs the weight, generally the quality of sinking is better. Six-step QC runs through process from raw materials to finished products. 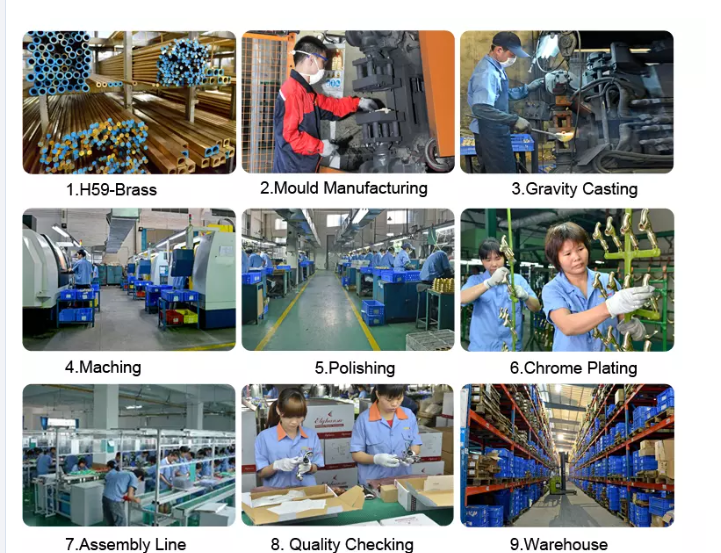 From Material control, Machining quality control, In-coming material inspection, Assembly line quality control, 100% Leakage test, Final appearance inspection before delivery.